Sergei Korsakoff, Alois Alzheimer, James Parkinson, Hans Asperger and other eminent scientists, are all names which have become synonymous with a disease, a syndrome, or an autistic disorder. Although the names of these psychiatrists and neurologists are familiar, we often know little about the individuals themselves and the circumstances surrounding their discoveries. What exactly did they discover, and who were their patients? Douwe Draaisma expertly reconstructs the lives of these and eight other ‘names’ from the science of mind and brain. 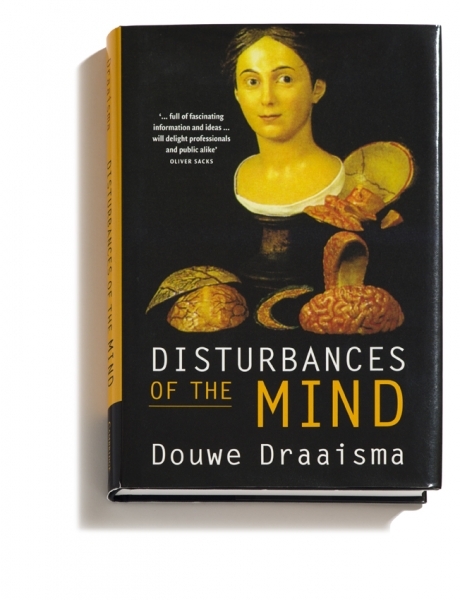 Disturbances of the Mind provides a fascinating, illuminating, and at times touching insight into the history of brain research. Thanks to Draaisma’s unerring eye and elegant, engaging style, the case histories of Asperger, Bonnet, Capgras, Clérambault, Korsakoff and Gilles de la Tourette syndromes; Alzheimer’s and Parkinson’s diseases; the areas of Broca and Brodmann; Jackson’s epilepsy; and the Gage matrix are all brought to life and transformed into unforgettable tales.